Donald Trump announced that he was dispatching US Ambassador to the United Nations Nikki Haley to Africa. Donald Trump mused about the vast continent's opportunities and challenges. 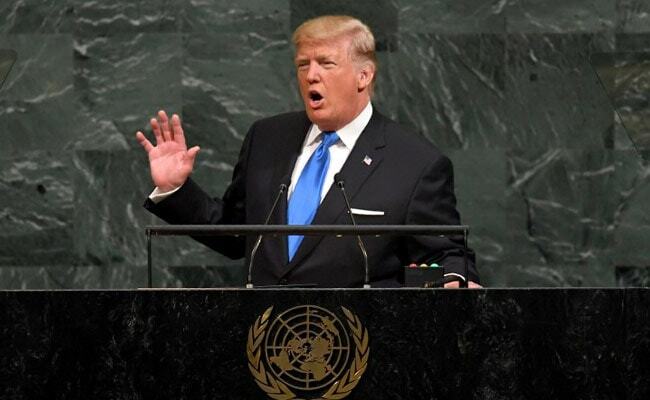 United Nations, United States: US President Donald Trump hailed Africa's business potential Wednesday, telling several leaders of African nations he has many friends going there to "get rich." At a lunch with the leaders amid the UN General Assembly, Trump mused about the vast continent's opportunities and challenges. "Africa has tremendous business potential," he said. "I have so many friends going to your countries, trying to get rich. I congratulate you. They're spending a lot of money," he said. "For American firms it's really become a place that they have to go -- that they want to go." Trump announced that he was dispatching US Ambassador to the United Nations Nikki Haley to Africa "to discuss avenues of conflict and resolution and, most importantly, prevention." South Africa's Jacob Zuma and Nigeria's Muhammadu Buhari were among the leaders at the lunch.